Did you know that the okra plant and the word "okra"" were introduced to the Americas from Africa? Or that "squash"" was first a word from the language of the Narragansett tribe of New England? According to etymologists-people who study words, languages, and word histories-many languages grow by adopting words from other languages, or loanwords. American English is a giant stew, simmering with loanwords like "okra" and "squash." 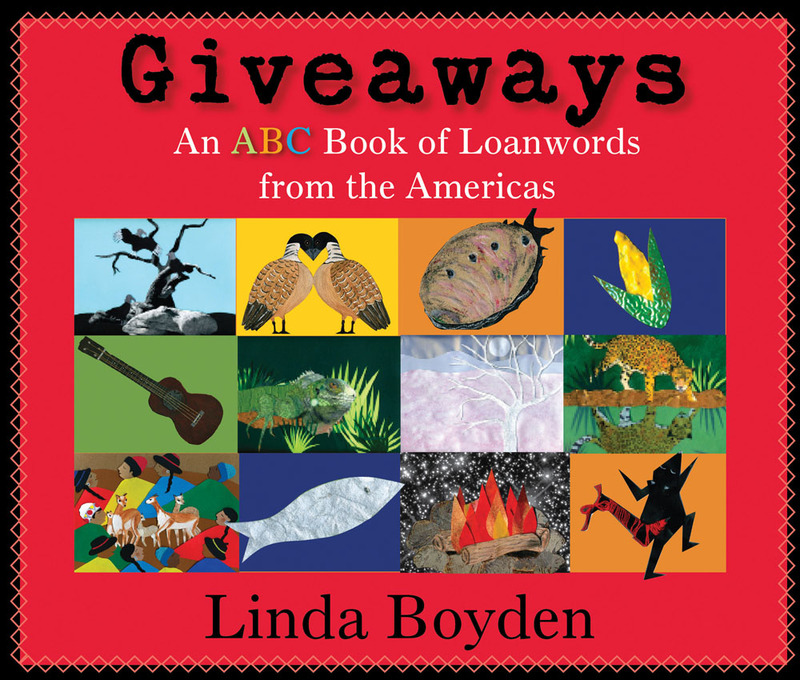 In her latest book, Linda Boyden shares an alphabet list of indigenous loanwords from North, South, and Central America that have found their way into common usage either nationally or regionally. "Nene," for example, is the Hawaiian name for a goose native to the islands and the official state bird. From "abalone"" to "zopilote," Boyden celebrates the cultural diversity of American English while her brilliantly colored collage illustrations and simple, direct text reveal the flexibility and adaptability of language to young readers. Linda Boyden is a former elementary school teacher and author of Powwow's Coming (University of New Mexico Press) and The Blue Roses. The latter won the 2003 Paterson Prize in its age category, the Wordcraft Circle of Native American Writers and Storytellers' Book of the Year for Children's Literature, 2002–2003, and was included on the prestigious CCBC (Cooperative Children's Book Center) 2003 Choices list of recommended titles.